Need a go-to recipe that feeds your family! This enchilada casserole will satisfy everyone’s love of Mexican food and become a favorite in your household! 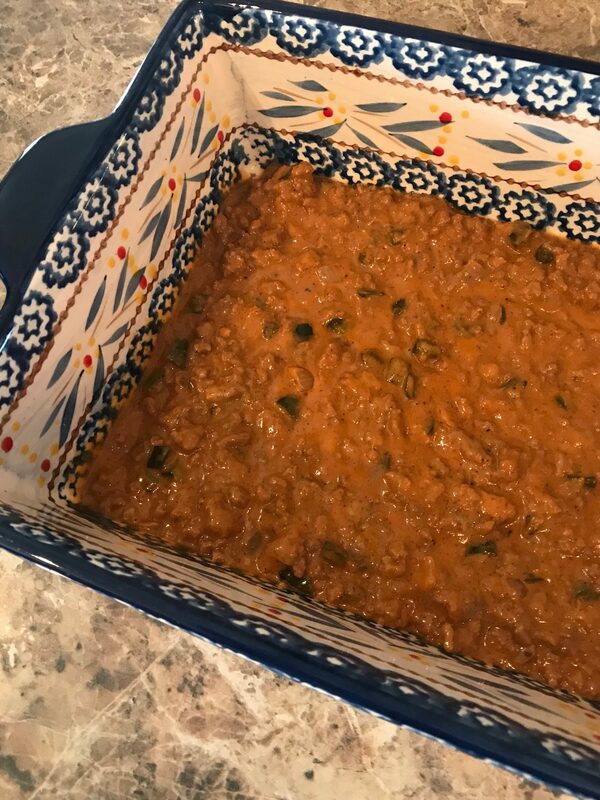 I love having a recipe that I can always count on to deliver great taste and that the whole family loves! 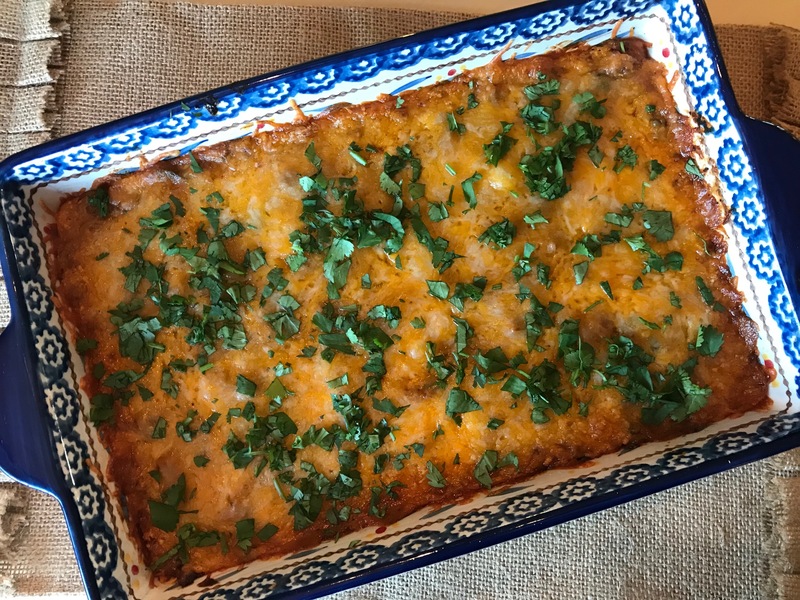 This enchilada casserole is perfect for just that reason! This is a great dish to make ahead when you know you have a busy week OR you have a new momma that you want to deliver a family meal! Food seems to be a love language that EVERYONE appreciates! Let’s get to the goodness! 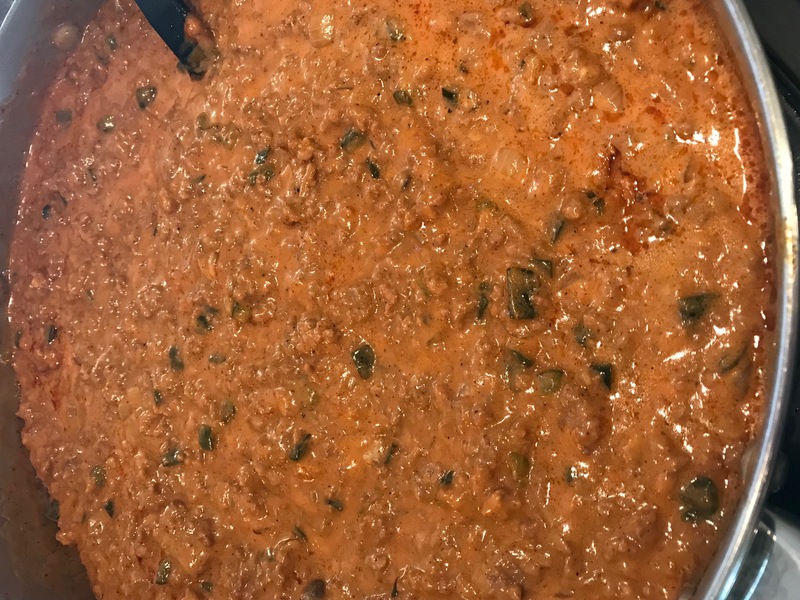 Brown two pounds of ground beef, onions and poblano peppers in a skillet. (Poblano peppers generally don’t have the heat that jalapenos do, especially if you remove the veins when chopping them). I typically season it with salt and pepper but you can use whatever favorite seasoning you have. 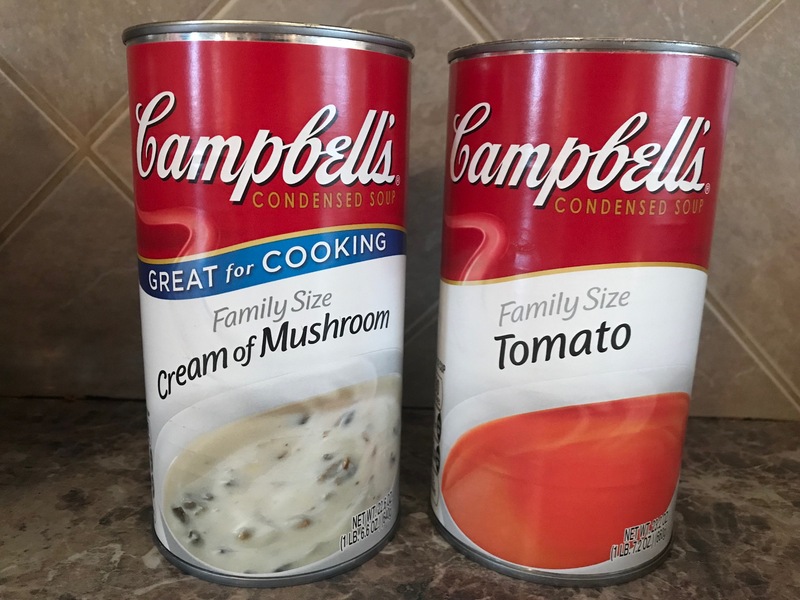 Mix in a regular size can (the family size shows just because I was making two casseroles at this point) of tomato soup and a can of cream of mushroom soup and heat thoroughly. Layer all of your ingredients in a casserole dish in the following order. Meat mixture, corn tortillas, enchilada sauce, meat mixture, Monterey Jack shredded cheese. Cook at 350 for 30 minutes and then top with cilantro before serving! Having a casserole that is ready to go for busy nights helps me keep my sanity! No matter the time of year, this is my go-to recipe for delivering meals to people or as a meal to feed my family. What is a casserole that you return to making time and time again? SHARE this recipe with your friends and PIN it to you dinner or casserole boards on Pinterest so you always have it for when you need it! I’d love a review if you have try it out! 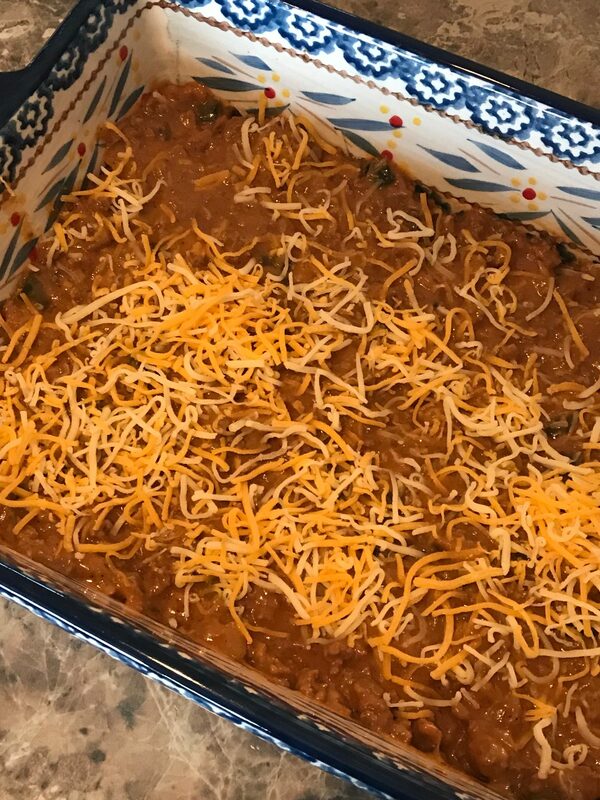 Did you like this enchilada casserole recipe? I’d love for you to share it with your friends on social media and PIN it so you have it for later! If you like what you see on this page, I’d love for you to join my mailing list HERE! When you join, I’ll send you a my FREE Home Decor Holiday Printables that you can immediately download. Just my way of saying “thank you” and encouraging you to live your best life!! Dice onion and poblano peppers. 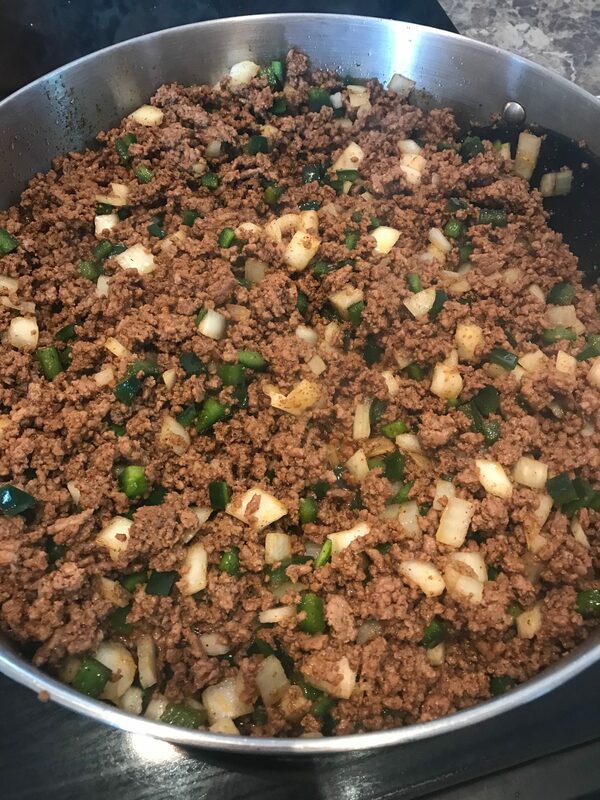 Brown the ground beef with the onions and poblano peppers. Add tomato soup and cream of mushroom soup and cook thoroughly. 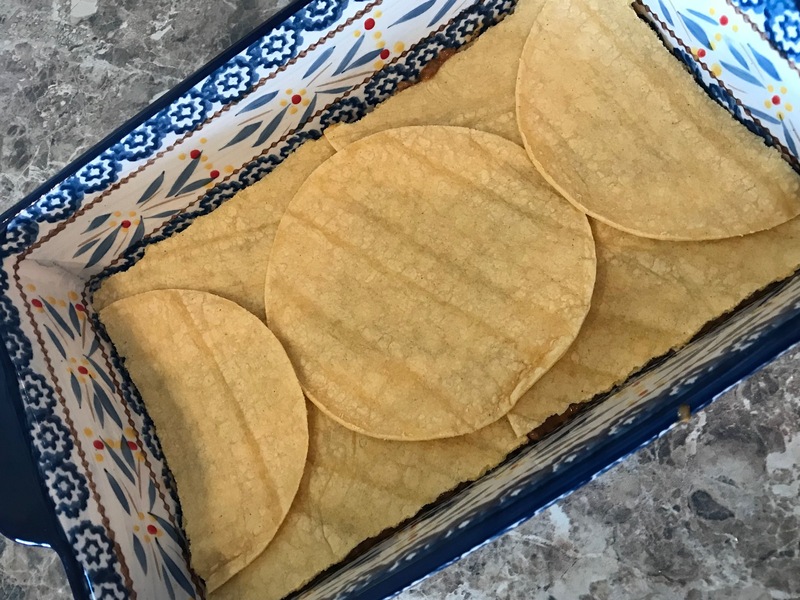 Layer corn tortillas, meat mixture and cheese, repeating as necessary. Cook at 350 degree oven for 30 min. Top with chopped cilantro and serve! Casseroles are my favorite! Anything you can toss in the oven and forget about for a bit has me excited. This one looks delicious! Oh this looks amazing! So hearty and comforting. I love anything involving enchiladas :-). I haven’t made enchiladas since I moved away from Texas a year ago. Thanks for the recipe idea! This looks sooooo sooooo good! I cannot wait to try this at home. Thanks for sharing. Two of my favorite things! 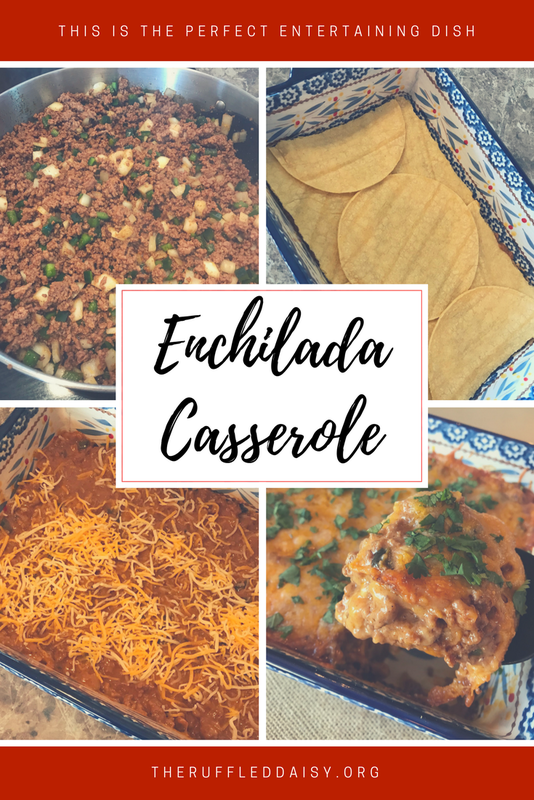 Casseroles and enchiladas, yum! Loved it!!! Super easy and fast to the table!! Thanks.